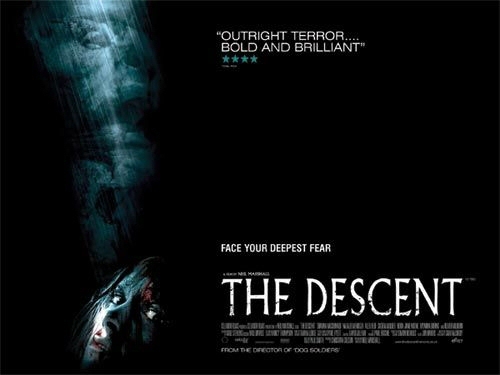 Cast : Shia LaBeouf, Megan Fox, Jon Voight, John Turturro, Josh Duhamel, Tyrese Gibson, Rachel Taylor, Anthony Anderson, Michael O’Neill, Kevin Dunn, Julie White, Bernie Mac, Glenn Morshower, Voices of Peter Cullen, Hugo Weaving, Mark Ryan, Darius McCrary, Robert Foxworth, Jess Harnell, Charlie Adler, Jim Wood. Synopsis: Alien robots arrive on Earth seeking the mysterious Allspark, and the war between the evil Decepticons and the good Autoots takes place on our planet. Michael Bay was born to direct this film. If there is a more perfect match between director and source material, I am unaware of it. Through Bad Boys, The Rock and Armageddon, Bay has become one of my favourite directors. I will say that unashamedly, as most find his films to be shallow, derivative, hard to follow and somewhat offensive. At least, Bad Boys II was offensive. The rest of his output over the years has been slam-bang action oriented popcorn fare, most of which has succeeded spectacularly, no matter what critics have said. Bay’s penchant for explosions and chase scenes, interspersed with slo-mo “emotion” shots and things looking “hopeless” for our heroes is well documented. It’s his style, and, among other more derivative direction from those less qualified, one cannot fault him for at least having a style. One of my favourite Bay films, hell, one of my favourite films period, is Armageddon. Bruce Willis and Ben Affleck saving the world against a giant asteroid, featuring carnage and destruction, histrionic overacting and some of the worst emotional blackmail ever perpetrated against an audience. Yet against this absurdly hyper-real backdrop is a really cool adventure yarn that keeps you in suspense until the very end. It had special effects, it had cool sound mixing, it had bullets and rockets and Liv Tyler in a bra; what more could a man want? Sure, for every Armageddon and The Rock (another personal favourite) there is a Bad Boys II, or even worse, Pearl Harbor. The man is generally inconsistent in his storytelling success. But Peal Harbor had some great battle scenes. BBII had one of the best car chase scenes in film, at least, until Bay plagiarised himself in The Island, a far superior sci-fi movie with the awesome Scarlett Johansson. Lets face it, Bay was born to direct large scale action sequences. He knows how to get the most out of battles, explosions and destruction, and transfer that excitement to the audience. So you’d think that he’s be the perfect choice to direct Transformers, right? Right. As a concept, the live action film version of Transformers just makes film-lovers drool. Huge transforming robots battling against a backdrop of human civilisation, and us simply unable to keep up. 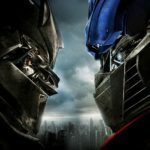 Ever since Optimus Prime and Megatron first graced the screens of Saturday morning cartoons, battling with their respective teams against each other, have fans young and old dreamed of the day when they would appear in a movie. And not a badly animated 2D cartoon movie, but a full blown live action movie. And now, thanks to special effects and eye-catching high-def CGI, we have it. But it wasn’t easy. When Michael Bay was announced as the director of a live action version of Transformers, many fans reacted the way they always do when a director they don’t like attempts to make a film about some beloved characters. I am sure plenty of fans of Tolkien were initially upset about Peter Jackson putting Lord Of the Rings up on screen. The same occurred here. Bay’s resume was generally hit and miss, and many fans were hoping against hope for a hit. Along came Shia LaBeouf, starring as the major human character of Sam Witwicky. Most fans reacted favourably to this after his roles in I, Robot and Disturbia. Then, other name cast including John Turturro and Jon Voight signed on, adding a sense of class to proceedings. But where the project really became a true Transformers film, was the addition of original Optimus Prime voice artist Peter Cullen to the cast list. Cullen was again to provide the voice of the heroic Autobot leader. This placated many people who were originally against Bay’s directing. Not all, but many. Bay redesigned the robots to give them a more realistic, “alien” and technological look, rather than the blocky, cartoony iterations of their television ancestors. The basic shapes and style were there, just updated for modern CGI and cinematic practicality. Megatron, it was decided, would no longer be a handgun in transformed mode, but would be an alien spacecraft. One of the big problems with the science of the Transformers was the mass-shifting element, something Megatron and Soundwave from the original animated series had been able to do. Trying to ground the characters of the film in a more realistic way was Bay’s primary goal, henceforth reducing or increasing mass during transforming was out of the question. How does the film stack up, story-wise? Well, its not too bad. Like any franchise film, you have to have a set-up at the beginning, outlining the style of the film, explaining everybody and what Decepticons and Autobots are, and giving the film some “history” to go with. This way you can make sequels. But once you get past the initial setup (in a way cool opening monologue from Cullens Prime) the film gets straight into the action with one of the Decepticons destroying a US Army base in the desert. The human characters, it must be said, are generally cardboard cutouts with little or no depth, being on screen merely to serve story plot points. There is almost no character development in any human character with the exception of LaBeouf, who’s Sam is a wonderful counterpoint to all the carnage going on around him. The scientists mumble science stuff, the military keep shouting at everyone like army dudes do in movies, and the hot women of the film try and keep up by being given the “intelligent” roles. But it’s not really about the humans, is it? It’s a film about giant robots landing on Earth and beating the crap out of each other, so that’s what Bay keeps giving us. And hell, it’s hard to imagine giving giant robots a character arc through a film like this. In fact, it’s nigh on impossible, so Bay relies instead on giving us action action action. The plot is barely logical, with the Decepticons (bad guys) looking for a primal energy source called the Allspark. The Autobots (good guys) arrive to stop them obtaining it. Optimus Prime, the most valiant and heroic of all the Autobots, was a pretty cool character in the original cartoon. And here, nothing has changed. He pretty much rules the film any time he’s on screen. Bay scatters battles and action throughout the film, including a tense and genuinely cinematic tour-de-force sequence involving a burrowing scorpion-like Decepticon attacking some marines who have escaped the destruction of their base (which started the film). But it’s the film’s final act, the last forty minutes, which make Transformers a cut above the rest. Bay has taken a budget considered by most large scale sci-fi films to be below average and made a film that is more exciting and frenetic than any Pirates Of The Caribbean or Star Wars. Just when you think they can’t destroy more stuff, they do. Buildings are obliterated, streets filled with explosions and destruction, and in the middle of it are a bunch of humans trying desperately to keep out the way and not die. Akin to Armageddon’s wild and protracted action sequences, Bay has fashioned a flat-out finale that keeps going and going and going. I must say that I thought the end was a little too sudden, however, upon reflection, it’s hard to see how the filmmakers could have done anything differently. Why have a protracted conclusion when you know you’ll be able to tackle the outcome of events of this film in the sequel….. Unlike other large scale films of this ilk, Transformers never once takes itself seriously. And this is what saves it from becoming yet another bombastic, lumbering mess that other, more highly regarded films, eventually became (Superman Returns, Pirates 3, Shrek 3, Spidey 3, I am looking at you!). While those films became mired in their own self importance and showy, “look at my special effects” moments, Transformers doesn’t give you a moment to reflect on the preposterous nature of all that is laid out before you. It goes at breakneck speed, defying logic and reason to entertain and amuse. Some may scoff at Bay’s style of flashy film-making, labelling it “lowest common denominator”, but there’s something undeniably wonderful about his camerawork. Visually, he pulls out all the stops here. His camera is everywhere, and the special effects make the most of it. His flamboyancy actually works for the film this time, instead of against it. Non-fans need not fear, you will enjoy this film having never seen the original cartoon just as much as those who have. There are subtle nods to the original cartoon series for those who are fans, but they are not key points of the film that distract. Transformers is by far one of the best times I’ve had in the cinema in a long time, and shot to the top of my list of all-time favourite films. Its loud, flashy fun…. but most importantly, its good fun. I'd give it a 9.5 out of 10, was a great movie, but personally I like to skip the boring bits and just watch the action. Also, the geeky men in suits in the middle of the film were a little too annoying. Agreed, the men in suits bit was a little over the top, I suppose. But they were funny. Still, the action was superb. Awesome movie! !